Those of you who have been earning a good income from mTurk will want to know that there are a lot of alternative crowdsourcing sites. If you also join these crowdsourcing sites, you will be able to double or triple your current earnings. 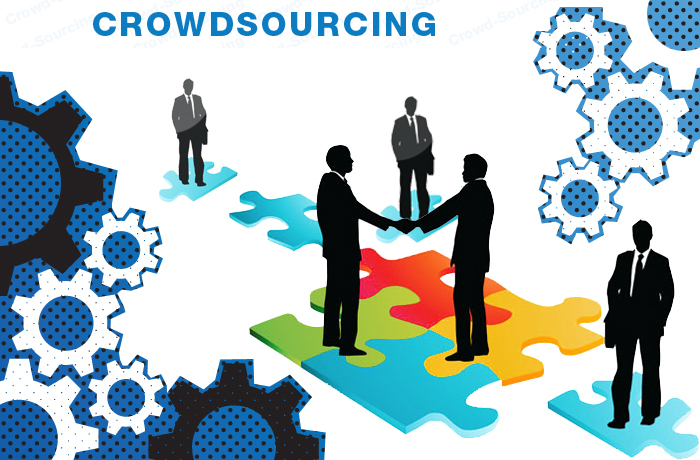 If you are not yet familiar with crowdsourcing, you should read the article here. Crowdsourcing has been used by many people to earn money and you get to do a variety of tasks such as finding the contact information of different websites, doing research on websites in the same category, searching for some images based on the keywords you are provided, writing reviews and giving your ratings on several websites, posting your comment or compose a short article, or contribute your like on a page in a social media network. There are hundreds of easy tasks you can do. Some crowdsourcing sites offers work on a variety of topics while others only offer work in a specific topic like mTurk. In this article, I will be listing the top 10 crowdsourcing sites. You must get familiar with each of the crowdsourcing websites below. MicroWorker is another top crowdsourcing site like mTurk. You will get assignments to do every day. The majority of the tasks you find on microworkers.com requires you to promote a website. So, you will be doing tasks that promote the websites of your employers so that they can increase their income. The best thing is that these tasks are very simple to do and you don’t need to have any qualification to do these jobs. Those who have been on Mturk for a long time and making money already will find it easy to handle these tasks. The above are some examples to show you that it doesn’t take much effort to use MicroWorkers to make money. It’s definitely worth it to register for an account at MicroWorker and start using it to make money. If you are interested in joining, you can go to the site here & click Register for Free. One last thing is that you must go through their frequently asked questions (FAQ) section. ShortTask is another popular crowdsourcing site where many freelancers have used it to make money. Most crowdsourcing sites will refer their freelancer with a unique name and in this case, you are called a Solver in ShortTask. Research – This involve doing research on the competitors’ sites, websites with the lowest airfares and websites on specified topics. Writing – Compose a review, blog commenting, writing a short length article, proofread an article from spelling and grammar mistakes. Design – Designing a unique logo, banner or header for a website. You can discover for yourself the complete list of tasks at the website. Visit ShortTask here. ClickWorker s a company that pays well and can be trusted but the majority of the jobs require you to pass an evaluation test to get qualified. You will have to take two types of assessments: basic assessments will check your spelling and grammar skills and your knowledge in a foreign language whereas project assessments will evaluate whether you meet the requirements of the specific job you applied for. There are over 200,000 freelancers on Clickworker and there are always lots of jobs available in the database. If you successfully pass the assessments, you will get the job. You just have to click on the Start your first basic assessment now link in your account to take the basic assessment and you can click on the have a look at our list of current project assessments! to browse the available assessments. You are advised to read the information in the FAQ here prior to registering for an account at Clickworker. Register for an account at a website and verify it. Most of the tasks you will find on Minuteworkers involved signing up at a website and you should have no problem in making a good income if you are skilled in this type of work. The sign up tasks involve going to a website and creating an account with an email address since these email address wll be used specifically to receive promotional emails. UnikScripts, Inc is the company that runs RapidWorkers and it is becoming popular with freelancers at a fast rate. You will find lots of marketing tasks where you help websites owners to promote their sites. The interface of MicroWorkers is completely copied from RapidWorkers.com. They let you withdraw via Paypal when you meet the minimum withdrawal of $4. The motto of CloudCrowd is you can work at any place and at any time you want. This is a very reliable site for you to make money when you have some free time. The majority of the tasks you find here require writing skills. You will be able to find general and marketing writing work as well as editing work. The company usually will divide their project into several smaller tasks which you can complete step by step in progression by using the Facebook work application. They payout the commission on the same day you completed the task and you can opt to get paid via Paypal. CrowdFlower calls its workers contributors. As a top crowdsourcing website, they have over 30 millions contributors around the world. CrowdFlower does not offer any method for people to sign up directly from their site and the only way to sign up is via the contributor channel partners for example ClixSense and mTurk. Samasource is a crowdsourcing site operated under the Leila Janah’s charity. The goal of Samasource is to help to provide work for poor women and youth on the internet. Samasource and other partnering organizations will first search for women with an income of lower than $3 per day, which is the minimum qualification to join as Samasource workers. Workers will be given training through computer for 2 – 4 weeks so that they are able to handle the projects and continue to do well in the workplace. Workers will be assigned microwork by the clients so that they can make a living with their own job skills and improve their earnings. Jobboy is another crowdsourcing site with more than 60,000 workers taking up the jobs. You should join and give a try at Jobboy.com to make money. This crowdsourcing site has much lower listings of tasks but you should have no problem in getting the tasks if you have good skills. myLot is a popular crowdsourcing site that offers a huge variety of tasks for freelancers. It is open to freelancers from all over the world but freelancers that are particularly from the USA will find more tasks that are suitable for them. The tasks listed at myLot are simple and easy for you to earn. You can read the FAQs here to understand more about myLot. Are you currently getting hired for any tasks from one of the crowdsourcing sites listed above? If you are, you can post a feedback about your experience with others.